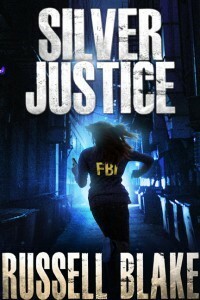 Silver Justice showcases Russell Blake at his best. I’m not going to lie. When I heard that the protagonist for Blake’s newest release would be a divorced, single woman, juggling between duties as a senior investigative FBI agent and struggling mother…I was skeptical. I will never again doubt the literary capabilities of this prolific author. Blake’s latest thriller combines all of the aspects he does best into one story. Fans of Blake’s conspiracy undertones will not be disappointed, however, Blake has matured in the way he injects his patented, research-based conspiracy theories into the story. Though the conspiracy weighs heavily, it propels the story from behind the scenes. Always present, but never overwhelming. In this story, the characters drive the drama…speeding along at breakneck pace. Silver Justice delivers plenty of action and suspense, but at its heart, this is a rock solid police procedural thriller. Focused on tracking down a serial killer terrorizing Wall Street high rollers, Agent Silver Cassidy has her hands full. Her task force has no leads, a contract has been put out on her head, her slimy ex-husband has just filed for full custody of her daughter…and that same daughter isn’t making matters any easier on her. Add to all of this a subtle dimension of sexual discrimination/glass ceiling syndrome, and Agent Cassidy can barely keep her head above water. But she does….and Blake captures her essence masterfully. He kept me fully engaged in her character from start to finish. Beside Silver Cassidy, there are several memorable supporting cast members: an intelligently humorous “consulting” agent, a sadistic biker gang leader, a nefariously wry Russian mafia boss, and my favorite, Agent Heron. I cheered every time he showed up. You’ll quickly understand why…if the FBI had one agent like this in every major city, crime would slow to a trickle within a week. Blake clearly took his time with this one, shifting his focus and skills from the insanely paced, explosive Assassin series, to this thoughtful, exciting thriller. Thanks for the kind words. Initial reception has been strongly positive, and I was just pleasantly surprised when I checked in to Amazon to see a new five star review from our own Nancy Barth. It’s deeply gratifying to see discerning readers like the book. Again, thanks for the review. It means a lot. My pleasure. SILVER JUSTICE came out of the gates racing, and never stopped. You successfully featured a female protagonist, steeped in the male dominated world of law enforcement, without stereotyping the rough and tough, tom-boy agent. Silver Cassidy breaks the mold. I think this books will connect with female readers on many levels. Quite a departure from the macho El Rey series 🙂 Shows your range as an author. Good job. You had me at coming out of the gates. No need to slather on more. Wait until you read JET. Wow wow wow. Really. I haven’t been this excited about something since the tequila truck broke down only two hundred yards from my house.